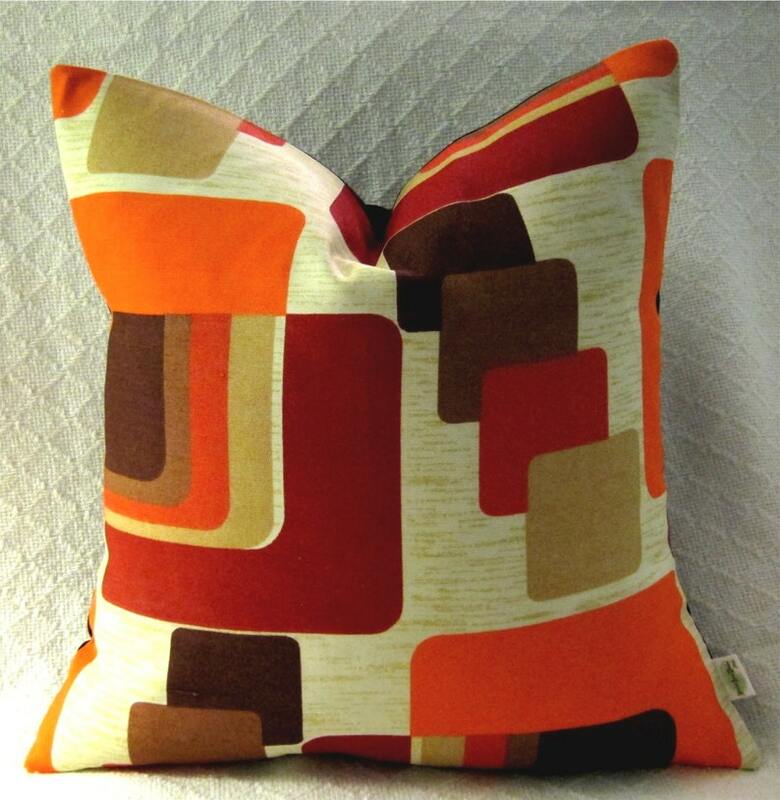 Here's a Groovy addition to your 1960s, Swingin' pad! I ALSO HAVE THIS WONDERFUL PATTERN IN BLUE AND ALSO IN GREEN COLORWAYS!! Perfectly sized pillow cover shown stuffed with a 12" x 18" Lumbar pillow insert and an 18" X 18" pillow insert, for pleasing plumpness! Listing is for one pillow cover only. CHOOSE YOUR SIZE AND QUANTITY FROM DROP-DOWN MENUS! Lined for Durability and Strength! THIS LISTING IS FOR ONE PILLOW COVER ONLY - You may stuff it with your own, purchased pillow form.